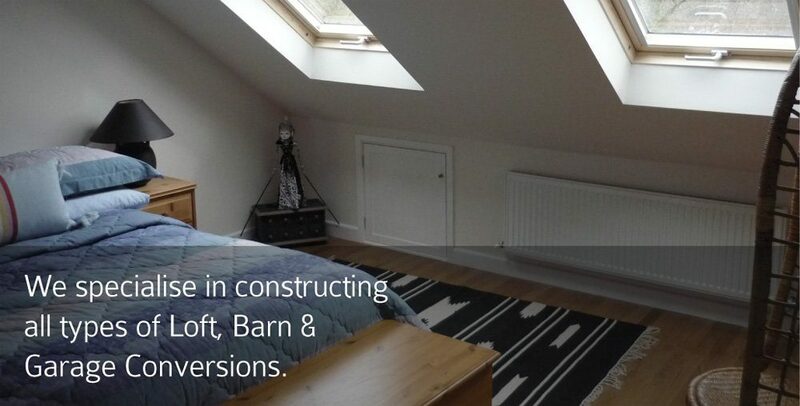 When you need extra space, one option to consider is a loft conversion. Building up into the roof is often the most cost-effective way to extend your home, avoids building over any of your garden area and can add significant value to your property, too. A well-designed loft conversion with a full staircase accessed from the main hallway or landing can be made to feel as if it was always there, rather than an extension that has been added later. And the same applies to your home’s external appearance. Providing care is taken to ensure that alterations to the roof are sympathetic to the architecture of the existing house, it can look as if it was part of the original design. A loft room can be cosy, private, full of light – it can be the ideal space for a new master bedroom, an extra living room, a home office, playroom or gym. Which type of conversion is best for your home? Not all lofts are suitable for a conversion. Some roofs have very shallow pitches or an unusual shape, while others may need extensive alterations to change the structure. In all cases, the cost of a conversion needs to be weighed up against the value and usage that the extra space will add. And remember to take into account that, usually, some existing space will be lost when you create staircase access to the new room(s). The existing loft space can be converted by simply adding rooflights, such as VELUX windows, plus upgrading the structure and adding stairs, electrics, plumbing, insulation etc. This is usually the simplest, quickest and cheapest type of conversion, as structural alterations are kept to a minimum. The amount of useable space for a rooflight conversion will depend on the height and pitch of the roof. By the time the structure has been converted and insulated, only the area measuring 2.3m or more between the top of the floor joists and the underside of the rafters will have enough clear headroom for standing. If your loft does not yield sufficient space for a simple rooflight conversion, you will need to consider one of the other design options shown on these pages to create the useable new room you need. The roof structure is altered at the rear (or sometimes the sides) to add a large flat-roofed ‘box’ dormer, enlarging the amount of space with full-height headroom in the new room. The part of the roof being extended will need to be stripped and the structure rebuilt.